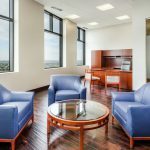 Howell Construction was hired to complete various corporate interior renovations for Envision Healthcare located in two buildings in the Denver Tech Center. 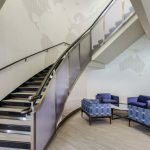 Project scope included executive offices, data centers, connecting stair between floors, call centers, boardroom, video conference rooms, corporate office areas, elevator lobbies, training rooms and check/print rooms. 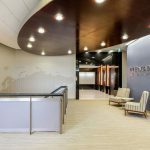 Howell worked with Envision, JLL and HOK in each of these areas to ensure the vision of the design was brought to life. 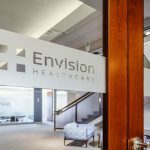 Through the successful completion of construction, the Envision Healthcare space was transformed into a modern office space with high-end finishes that exceeded the client’s expectations.